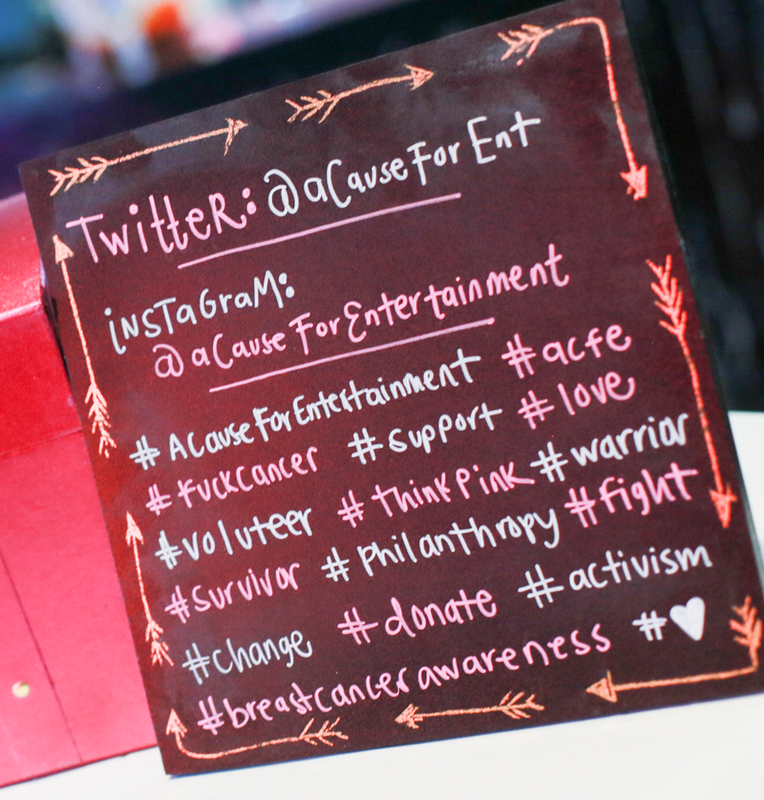 A Cause for Entertainment is a nonprofit organization that connects the entertainment industry with breast cancer research and awareness. Our mission is to support and empower individuals and communities affected by breast cancer. A Cause for Entertainment’s goal is to raise awareness and funds to support research, education, and the individuals and families who are currently facing a breast cancer diagnosis. Our Founder, Jessica Sherman, was spurred into action in 2015 after her grandmother’s diagnosis. As she began getting involved in breast cancer organizations, she discovered just how many people are affected by this disease. As a casting director in Hollywood, Jessica realized there was a way to bring two communities she was actively a part of together, and thus A Cause for Entertainment was born. Each year, A Cause for Entertainment throws their annual benefit with a live auction, silent auction, music and entertainment to raise money to benefit breast cancer research and support. With contributions from WB, Marvel, Bad Robot, The Honest Company, The Ellen Show, and so many more, A Cause for Entertainment ahs raised over $60,000 since it’s conception. We are so excited and honored to have you along for the ride.